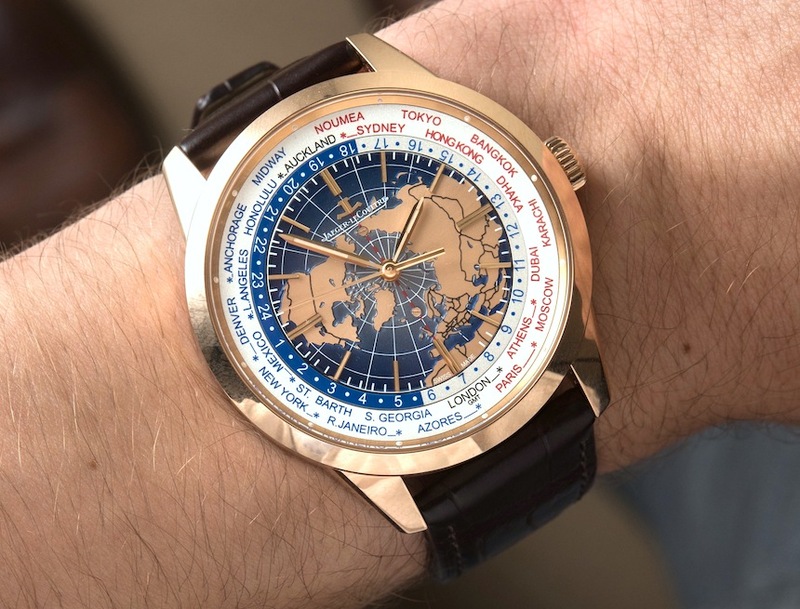 Here is kind of an interesting fact that I have admittedly brought up before but want to say again because I think it is sort of funny… The movement inside of the Jaeger-LeCoultre Geophysic Universal Time, which is the world time version of the also newer Geophysic True Second (hands-on here), has just one more component than the non-world time version. No doubt, there is a good engineering reason for this, but us watch nerds like to obsess and fantasize over why this is. The in-house-made Jaeger-LeCoultre caliber 770 in the Geophysic True Second has 270 parts, whereas the caliber 772 in this Geophysic Universal Time has 271 parts. Why, I wonder. In the crafting of this article, I won’t have an answer for you – other than my presumption that the world time indication’s disc can be driven off of the “normal” hour hand’s wheel by simply adding just one wheel – though I am sure that the good people at Jaeger-LeCoultre will honor me with an answer that is surely not as interesting as the reasons I can make up in my head. Perhaps there is a magic single “monolithic” component which adds a world time indicator disc to this otherwise fun and interesting new family of dead-beat (I mean, “True Second”) movements from our friends in Le Sentier, Switzerland. 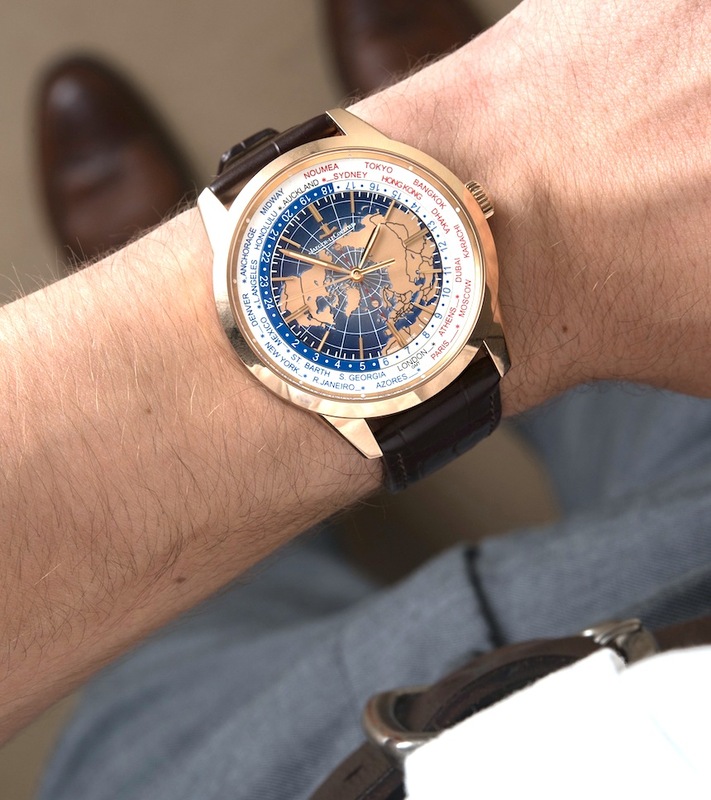 It has taken me a while to become a fan of watches with globes on them, but the Jaeger-LeCoultre Geophysic Universal Time (which we debuted here back in 2015) is one that I would proudly wear. It sort of mixes the concepts of being the right type of world traveler nerd and an important person who gets to sit in an “information room.” Well, perhaps an information room circa 1950, which is when Jaeger-LeCoultre originally released its Geophyic watches, only to have the “science-minded” collection come back in 2014. 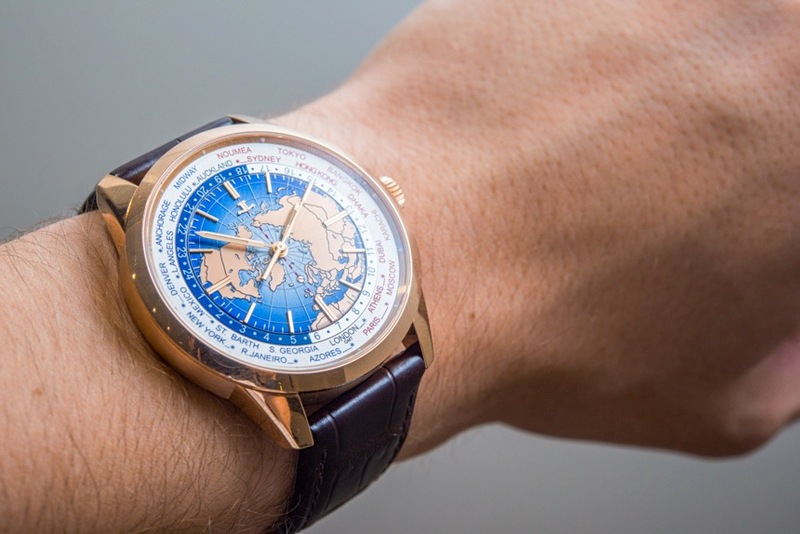 With that said, I feel that the Geophysic True Second and Jaeger-LeCoultre Geophysic Universal Time watches really helped the revived collection hit their stride due to the inclusion of the movements. I’m confident enough in my love of mechanical watches to wear one with a dead-beat seconds hand, even running the risk of someone without as much esoteric horological knowledge as me inadvertently mistaking my mechanical watch for a quartz one. I know, the thought is borderline horrific, but what can you expect from lay enthusiasts who have been trained to judge a timepiece by the motion of its seconds hand. Can you blame them for mistakenly thinking your fancy Jaeger-LeCoultre might contain something other than a mechanical movement. What if they claim it is a fake! It is entirely possible I am totally overthinking the real-world wearing experience of a dead-beat seconds watch, but as watch lovers, our nature is to obsesses over small details. 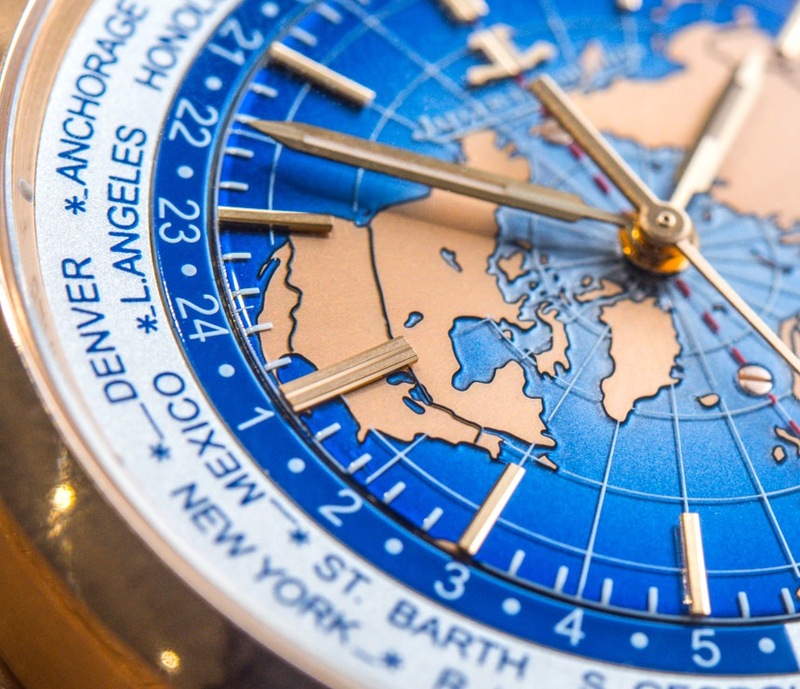 I’ll return now to the Jaeger-LeCoultre Geophysic Universal Time and remind you that, in addition to the “True Second” hand, it also contains Gyrolab. 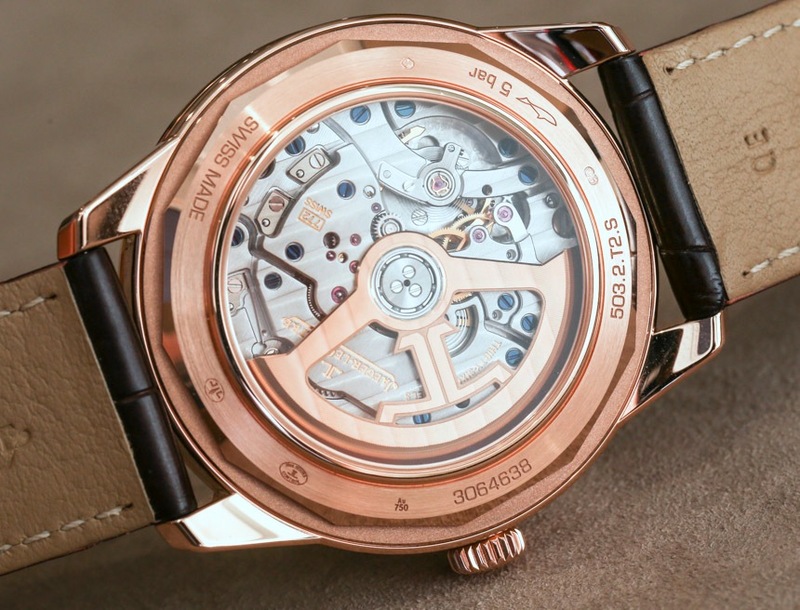 Like the caliber 770, the 772 is fitted with Jaeger-LeCoultre’s brand new balance wheel that they call Gyrolab. More aerodynamic than a traditional wheel-style oscillator, this 4Hz (28,800 bph) operating system benefits from reduced air drag and this improves isochronism – in other words, accuracy over time. These are all things a proper engineering-minded timepiece should be concerned with. 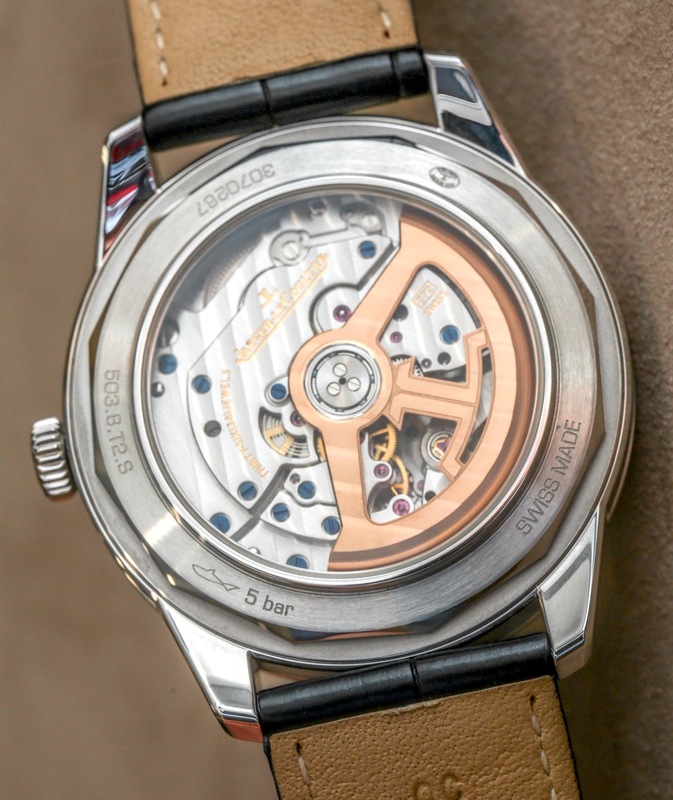 The automatic caliber 772 is traditional in its layout of the world time complication which consists of a 24-hour disc on the dial which, when used with the adjacent reference time city indicator, allows the user to immediately know the time in any of the major 24 time zones right away. It is a system used in many timepieces and endures not only for its elegant design, but its effortless utility. 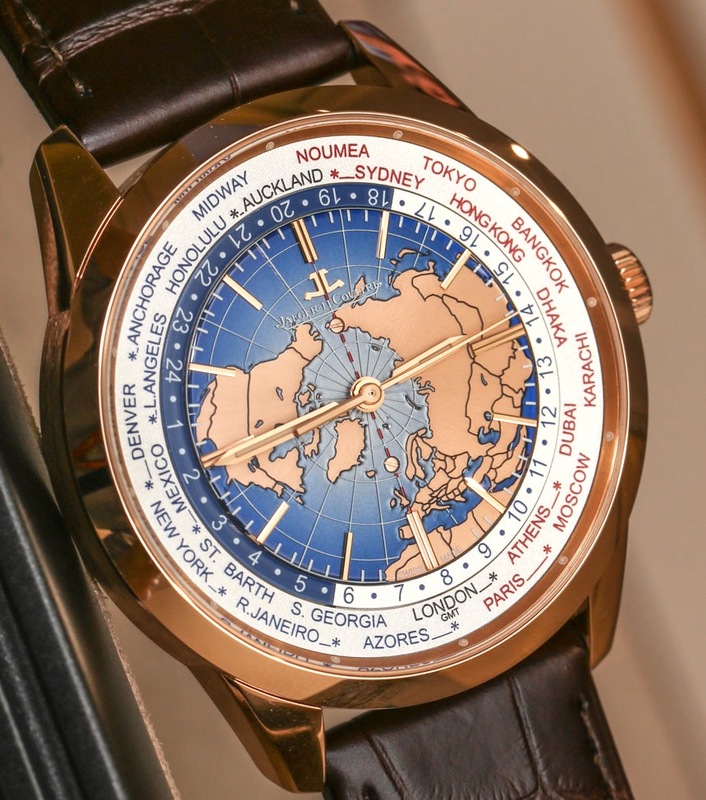 The particular design of the gold- or silver-toned globe in relief on the dial is handsome, and I am very happy that Jaeger-LeCoutlre decided to produce the face in a slightly three-dimensional manner. I find some other world time dials to be quite flat-feeling, which detracts from their appeal, in my opinion. The dial is also fitted with applied hour markers and a fresh set of tool-watch-style hands that I happen to find quite attractive (and which are also painted with SuperLumiNova luminant). I actually think I have an answer to my above question about why the caliber 770 and 772 movements have such a similar number of parts. I just realized that the 770 has a date complication whereas the 772 does not. That could quite easily be the answer. Going back to the dial of the Jaeger-LeCoultre Geophysic Universal Time, you have the distinctive points of luminant on the periphery of the dial as well as the purposeful-looking screws just under 12 o’clock and over 6 o’clock. It really is a handsome dial and benefits from being quite useful to boot. 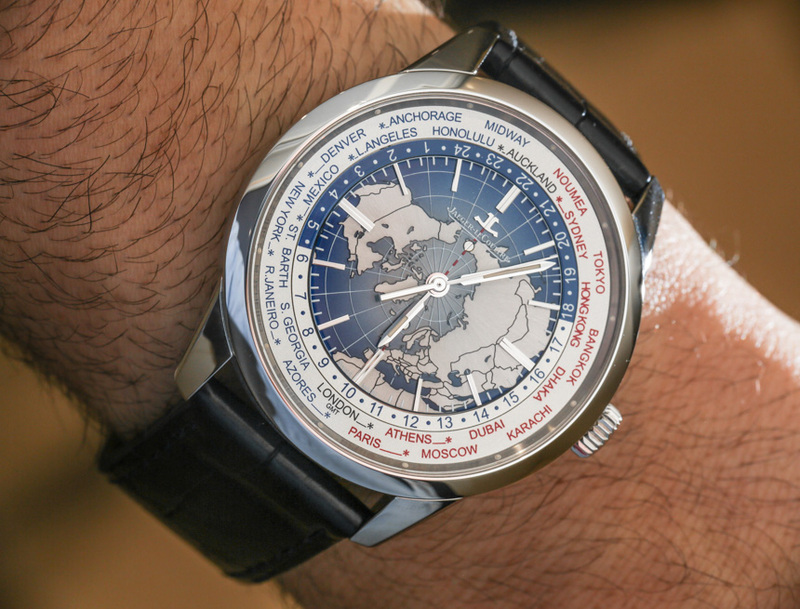 The brand has sized the Jaeger-LeCoultre Geophysic Universal Time a bit larger than the True Second. 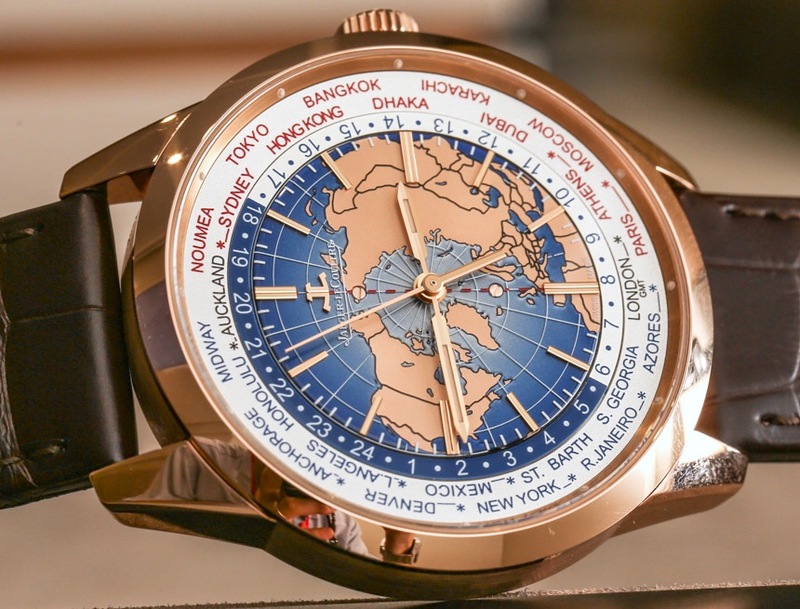 The latter has a case which is 39.6mm wide, while the Jaeger-LeCoultre Geophysic Universal Time is 41.6mm wide, and 11.84mm thick. 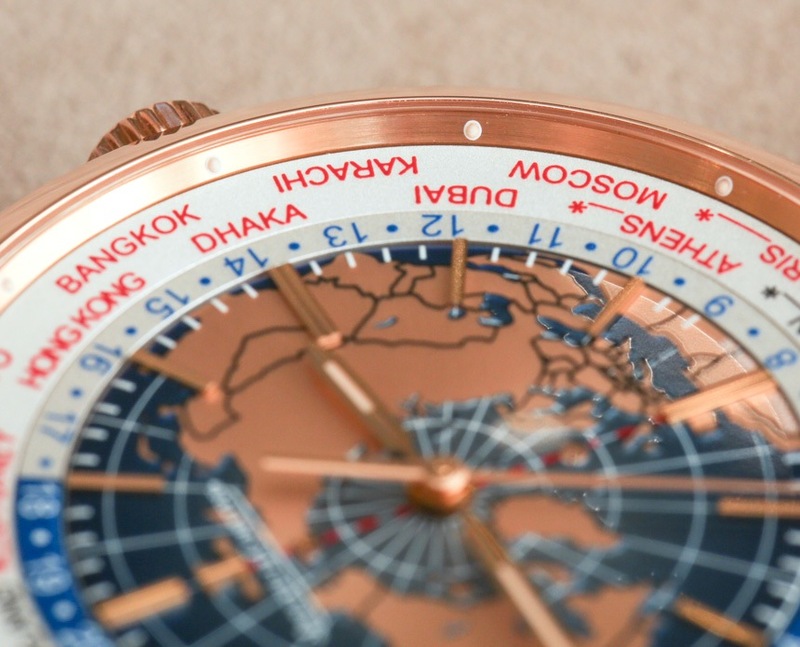 For me, this is extremely wearable and, while not everyday is a “world-map-dial-watch day,” I think the right person can get away with wearing this timepiece on a mostly regular basis. 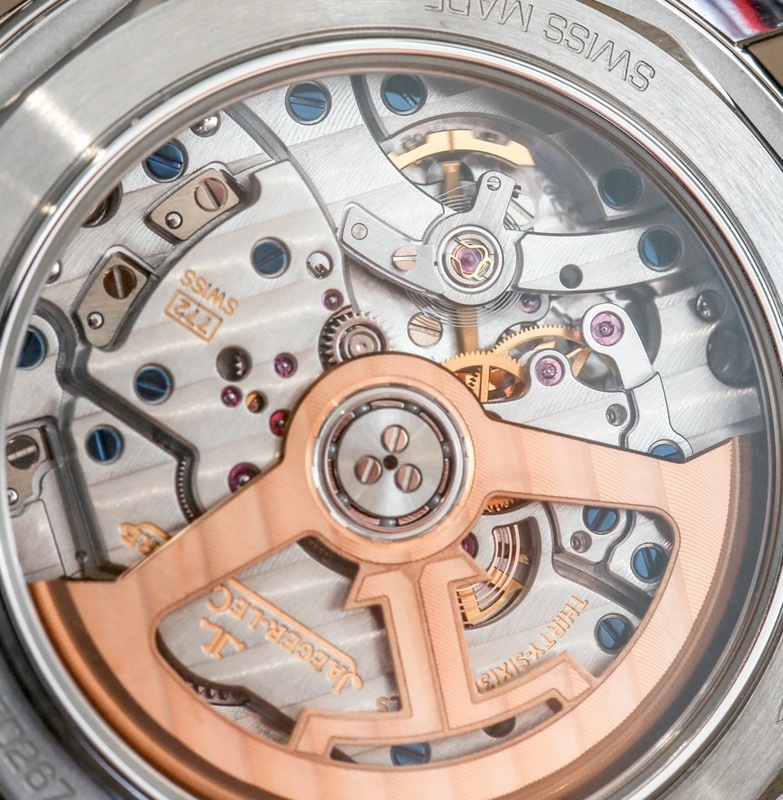 The case is further water resistant to 50 meters, and in addition to the well AR-coated sapphire crystal over the dial, there is another one over the caseback offering a view of the movement. 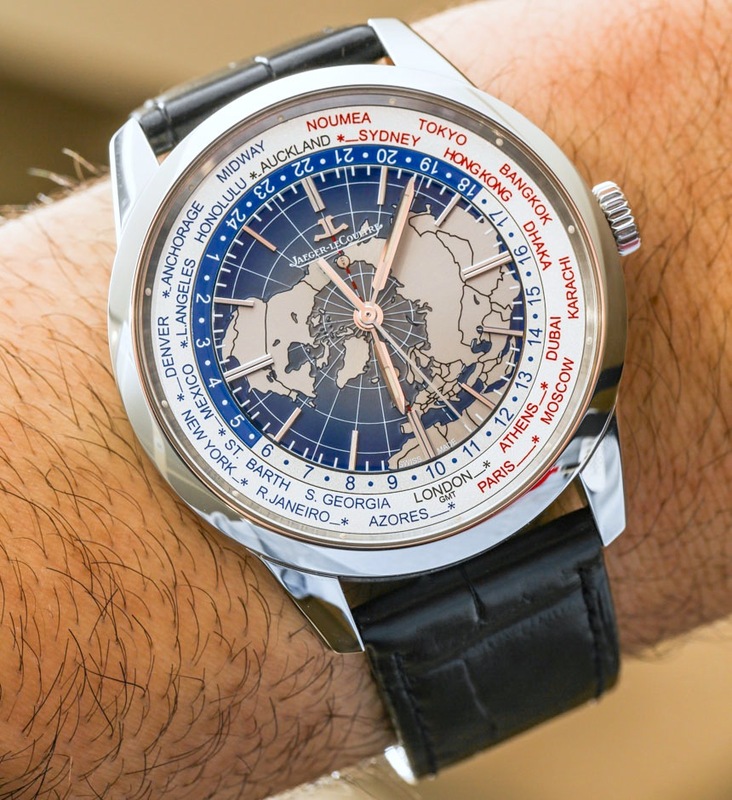 It isn’t cheap, but I think that the Jaeger-LeCoultre Geophysic Universal Time is going to be one of the sleeper hits of the next few years. 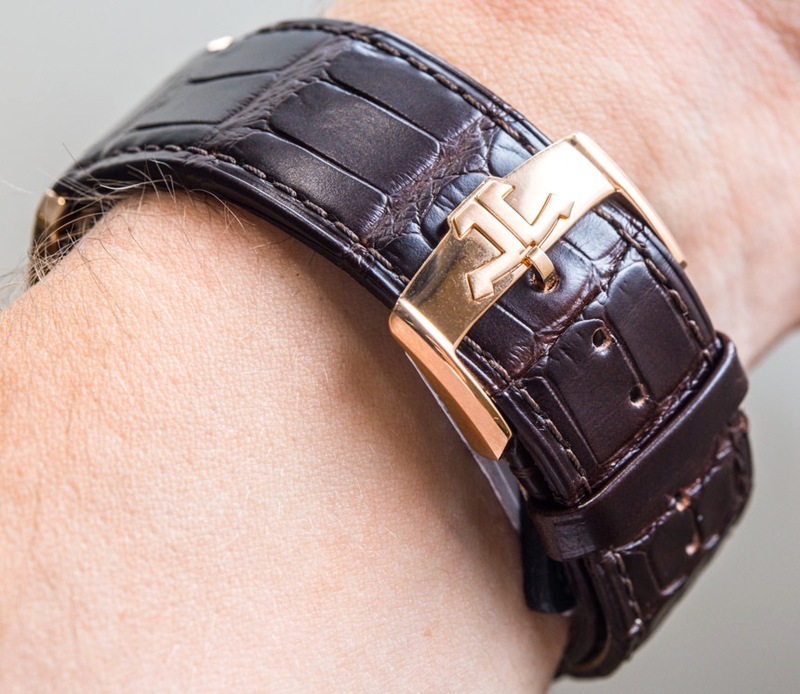 Jaeger-Lecoultre seems hell-bent on reminding you about “Reverso, Reverso, Reverso,” but the character of the brand is much more diverse, and their ability to produce things like both movements and cases gives the uniquely positioned watch maker an ability to engage in projects like the Geophysic, whereas other watch brands could not. The mixture of style and technical prowess work well here, and there are few other newer world time watches that seem to have this much enduring appeal.